This set of bright polka dot schedule cards will make a great visual reminder of your daily schedule! This set includes 87 schedule cards (with 5 different colored header cards). All you have to do is print the pages with your schedule items, laminate, cut, and use. 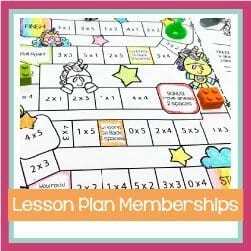 Great with magnets on the back to use on your dry erase board, to use in a pocket chart or on your regular bulletin board! 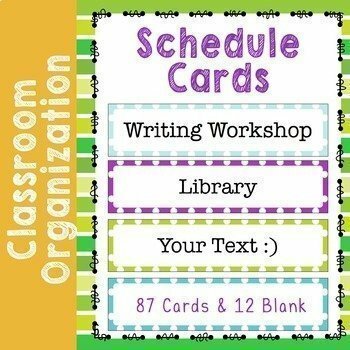 Includes blank cards to add your own schedule labels. Also includes 3 blank pages (9 schedule cards) to write your own schedule labels.